Minneapolis school board member Hussein Samatar, a civil-war refugee who went on to plant some of the first seeds of Somali-American politics, died Sunday of complications from leukemia. He was 45. 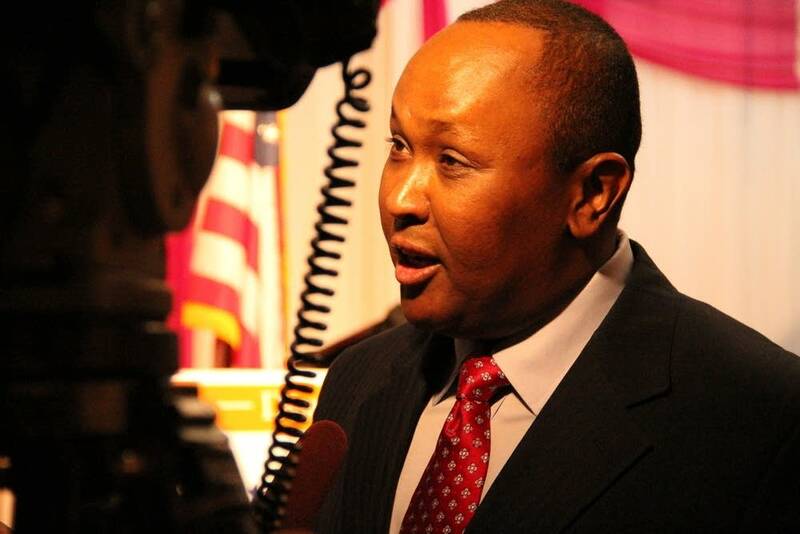 Samatar was the first Somali-American in Minnesota, and most likely the country, to be elected to public office when he won a seat on the school board in 2010. As a business leader, he founded the African Development Center in 2004, a nonprofit that helps African immigrants build wealth and start businesses. The DFLer also aspired to run for mayor this fall, but a diagnosis last December of chronic lymphocytic leukemia -- a kind of cancer of the blood and bone marrow -- scuttled his campaign plans. "The only race I need to win is my life," he told MPR News in March after announcing his illness. Samatar's own path to success took a circuitous route. He completed his studies from Somalia's National University in 1991. But just four days after graduating, he had to shelve his dreams of being an economist because of a civil war that erupted in his homeland. The bloodshed eventually claimed the lives of his sister, friends and classmates. "It makes you who you are, if you go through that humbling experience," Samatar said in an interview in 2010. "One day, you are on top of the world, and the other day, you are fleeing from shelling, killing and mayhem." As part of the first wave of Somali refugees in Minnesota, he learned English with the help of a Minneapolis librarian. Eventually, he earned his Master's in business administration from the University of St. Thomas. His colleagues at the African Development Center were among the throngs who offered condolences Sunday to Samatar's family. The nonprofit's communications and fund development director, Matt Holm, said Samatar brought a "high level of energy, drive and optimism to everything he did." But one of his greatest legacies, Holm said, was Samatar's dedication to helping educate and train African immigrants throughout Minnesota on how to be economically prosperous. "That was his vision and what seemed to drive him throughout." Samatar seemed to be doing well after a bone marrow transplant in May, Holm said. Friends of the family say Samatar was re-admitted to the hospital in early August due to a lung infection and was put into a medically induced coma. Officials with Minneapolis Public Schools praised Samatar for providing a strong voice for students, particularly those from immigrant families. Samatar helped chair a referendum committee that secured a $60 million schools levy in 2008. "Hussein was a passionate leader, a committed public servant, a dedicated collaborator and a valued friend," said superintendent Bernadeia Johnson. Mayor R.T. Rybak, who appointed Samatar to the Minneapolis Library Board of Trustees in 2006, called Samatar an "extraordinary leader." "I am heartsick about losing him, but I will look for solace in knowing how many people he helped," he said in a statement. Samatar is survived by his wife, Ubah, and four children. Services will be held at 1 p.m. Monday at the Burnsville Masjid, 1351 Riverwood Drive in Burnsville. All are welcome to attend.